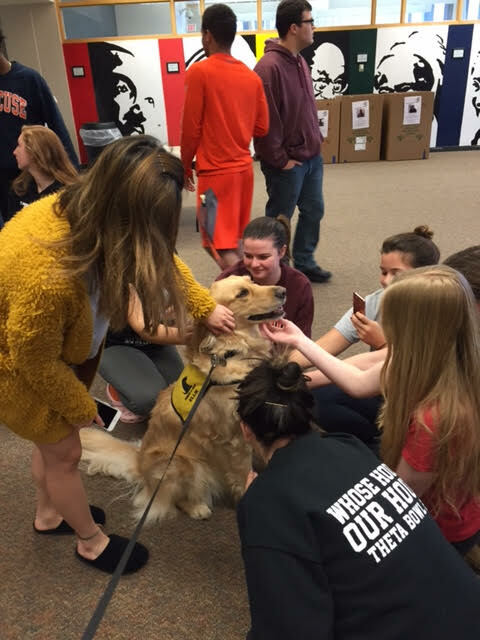 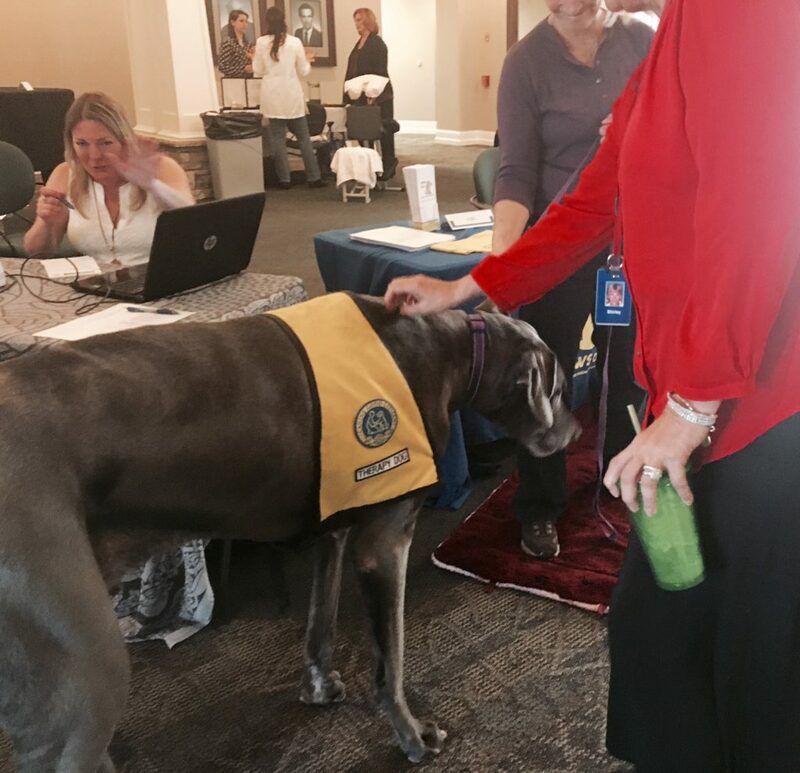 On April 19, PAWS of CNY volunteers attended the Syracuse University Office of Disability de-stress event. 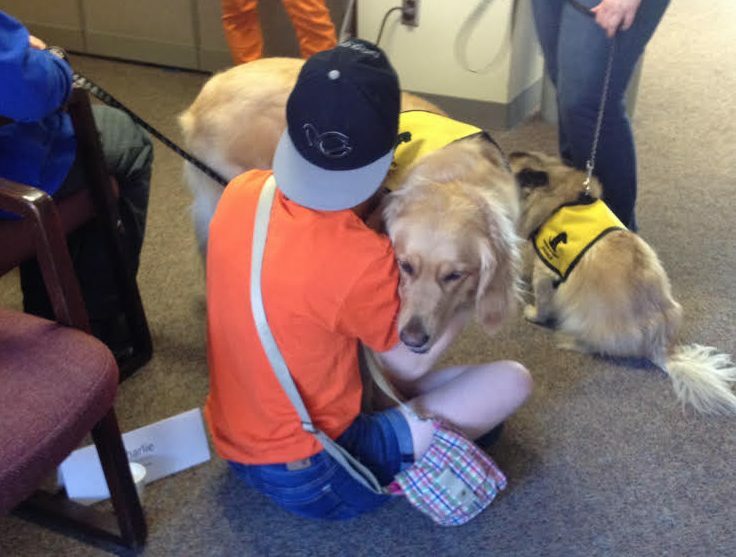 Any student who received services through the office was able to attend. 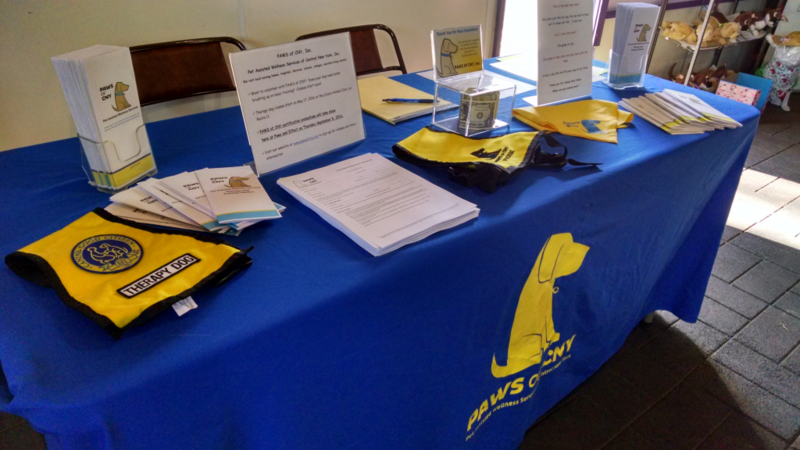 The PAWS of CNY volunteers that attended included Peggy Byrne and Ellie, Christy Nappy and Charliem and Anna Mayerhofer and Lumpi.